On November 16, 2017, the cryptocurrency world is going to experience a very significant event, the Bitcoin hard fork, known as SegWit2x or Bitcoin2x (B2X). A fork is a split in a cryptocurrency resulting in active two currencies: The original and the newly formed one. A fork can be visualized as a new version or update of the original cryptocurrency, much like software that is updated. Forks in a cryptocurrency can be spawned for all kinds of reasons. Some good, some bad, some political. A fork in a cryptocurrency could be created as the result of someone seeing an improvement that could be made in the original cryptocurrency that could increase its transaction carry payload resulting is lesser transaction fees for us and greater earning potential for large-scale miners (but not the small-scale miners of Bitcoin). A fork in a cryptocurrency could occur because there is a philosophical disagreement in the direction the currency should be going. The fork that is to occur on the Bitcoin network on November 16, 2017, is happening because of the reasons cited above, but more specifically, over the size of the block – which is a piece of data that contains information about our transaction – which is sent to the Bitcoin Blockchain. Why a fork? Well, because Bitcoin has a scaling problem. Let me explain. On the Bitcoin Blockchain, transactions are stored in what are called “Blocks.” For example, when you sync your Bitcoin wallet to the Bitcoin network, you are actually downloading all of the “Blocks” on the Blockchain so that you – and everyone else – on the Bitcoin network, can have a copy of that public ledger called the Blockchain that contains all of the transactions anyone has made on the Blockchain. So all of us who make transactions on the Bitcoin network will all have a copy of the Blockchain ledger and the transaction history within it. Miners use the Blockchain to confirm our transactions and certify that the Bitcoins being sent belong to the person who is sending them. This is called “confirming.” This makes Blockchains very secure and revolutionary. When Bitcoin was created, it had a “Block Size” of 1 Megabyte (1MB). Back then, when there was only a relatively few people in Bitcoin and conducting transactions on its Blockchain, a 1MB block size was not a problem and transactions were easily processed and confirmed. Plus, transaction fees were minuscule. Think of a block as storage space. Within that 1MB storage space, there is only so much data that can be squeezed into it. Now that more people are getting into Bitcoin, more transactions are being placed into that limited 1MB storage space (block). As more people are adopting and using Bitcoin and the Bitcoin Blockchain to conduct transactions, a serious problem has presented itself: Higher transaction fees because of the greater user demand but limited supply (space) in the 1MB Block. So, back in August 2017, SegWit (not SegWit2x) was activated on the Bitcoin network. What SegWit did was keep the 1MB block size but removed the unnecessary overhead within the block, namely one of the block components known as the signature. This freed up space within the 1MB block. Note: The three components of a Bitcoin transaction (encoded within the 1MB block) are the sender, the receiver, and the signature. The result of the SegWit activation in August 2017 was a new “forked” currency called Bitcoin Cash (BCH). This was in reaction to the legacy (original) Bitcoin block implementing SegWit, which found a way to keep the original 1MB block and removing the signature component from it. Bitcoin Cash (BCH) deactivated SegWit, restored the”signature” component back into the block, and increased the block size from 1MB to 8MB. 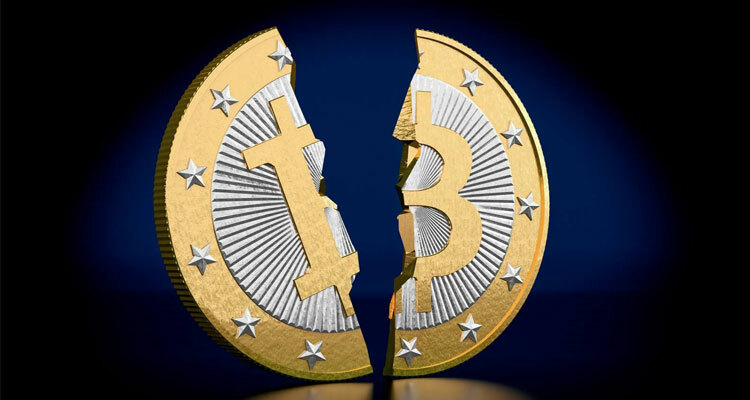 The reasoning was that with the signature component removed from the block, it went against the Bitcoin creator – Satoshi Nakamoto – stated in his Bitcoin Whitepaper. Which essentially states that the signature is one of the components that makes Bitcoin, Bitcoin. Removing it would not make it Bitcoin anymore and the coin is compromised. SegWit2x would be SegWit (removal of the signature component) on the Bitcoin (BTC) legacy network, but increasing the block size from 1MB to 2MB. This allows for an increase in transactions to be processed on the Blockchain. SegWit2x is still Bitcoin, but a Bitcoin 3.0, so-to-speak. It will not replace Bitcoin. Bitcoin will still exist. This is another currency born from Bitcoin and it will have its own separate 3.0 Blockchain. The proposed solution was either to increase the current Bitcoin block size from 1MB to 2MB or to have two block sizes, 1MB and 2MB. Any user storing Bitcoin on Coinbase at the time of the fork will be credited with an equal amount of the new Bitcoin2x asset on the Bitcoin2x blockchain. No action is required – we will automatically credit your account. If you have 5 Bitcoin stored on Coinbase before the fork, you will have 5 Bitcoin and 5 Bitcoin2x following the event. Bitcoin Miners are paid on a per transaction basis. If more transactions are contained within a block, this is good for them. Potential of Bitcoin to lose is “decentralization” status. Will the real Bitcoin stand up! That is the debate. With the original (legacy Bitcoin) stripped of the component signature, is it really Bitcoin? Bitcoin Cash (BCH) has the signature component but has a block size of 8MB instead of 1MB. So, is it the real Bitcoin? SegWit2x – like its predecessor SegWit – does not have the signature component but has a block size of 2MB. Come November 16, 2017 (therein or about), we will have our answer. Why? Because – we, the users – are the ones who will determine which one is the real Bitcoin. The implications of this could be very huge. If the legacy Bitcoin (BTC) with wins out, it will continue to chug on and gain value. But if SegWit2x wins out, my Oh my! 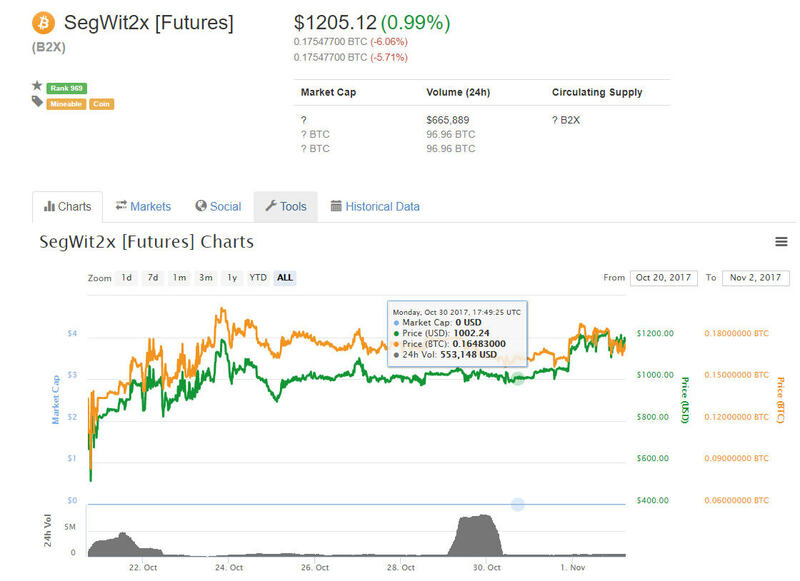 The value of Bitcoin will most likely decrease as SegWit2x takes over the number one slot. I am keeping a close eye on November 16, 2017, and will be standing ever so by to get me some SegWit2x when it is available for trading after the fork. Previous ArticleWhy Is Bitcoin Doing So Well?